Our Vision: To build every home as it is your own, To earn our customers loyalty by listening to them, anticipating their needs and create value in their eyes & always try to do the right thing. December 31, 2012 marked the completion of the 18th year of operation for Avonlea Homes Ltd. During this time we have turned over 1,521 homes to residents of Lethbridge. Avonlea has lead all of our competitors in most building permits taken out in the City of Lethbridge since 1997. 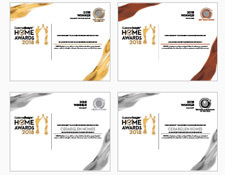 Avonlea Homes Ltd. has been acknowledged each and every year we have been in business., receiving awards in all major categories ranging from Design to Home Builder of the Year in 2012. 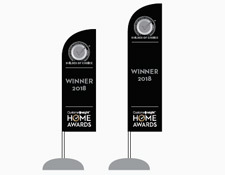 Avonlea was recognized by the Alberta Homebuilders Association, as well as CHBA National, Alberta Venture Magazine (#49 out of 100 privately held companies in 2008) and one of our proudest achievements, #149 nationally in Profit Magazines Top 200 privately held companies in Canada in the same year. Avonlea Homes was approached in 1999 to build the first STARS Lottery Home in Southern Alberta to add to Calgary, Red Deer and Edmonton – and we’re still donating annually 16 years later. Avonlea recognizes the importance of community, and continues to support many Lethbridge charities, events and causes throughout the year including St. Michaels Health Centre, Lethbridge Regional Hospital, Cancer Society, YWCA, Big Brothers & Sisters, and Steps for Life . Avonlea is not only a builder but also developer in the City (South Gate, Legacy Ridge North and BlackWolf). 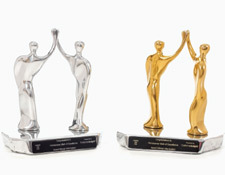 BlackWolf, our current development is now in it’s third phase, and has already won Development of the Year in 2011. Avonlea continues it’s award winning development with Skye, launching mid-2014 in West Lethbridge. 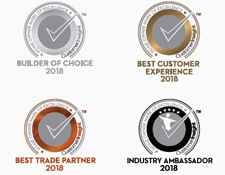 None of Avonlea’s work and achievements would mean anything without the dedication and cooperation of our entire staff, the trades and our wonderful customers. Being recognized for hard work is one thing, but nothing is as important to us as seeing a home purchase dream become a reality. We are committed to bringing the best new home experience to our customers through bold design, superior quality and to gain that customer for life. Thank you for providing us with a great quality home & the customer service is outstanding. Shawn Baker & Ron Tyslau gave us a good customer experience. Thank you. Would recommend to anyone looking for a home. Love our home,any issues are being addressed in a professional manner by Ron. We feel that he really cares about us having a quality experience with Avonlea. 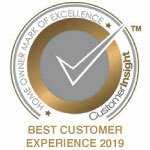 Great experienced with their customer service staff, Ron. Good communication skills and really listen to what the customer want. Keep up the good work. I am proud to say I bought an Avonlea house. I appreciate your effort. If there is problem, I know that the value of the house is compatible with the price of the home. If there is something that has average quality like the tub, that someone tells me. This thing is really good quality, this other thing has medium quality. My sales lady Genavieve was awesome. She made process smooth and easy. I found out yesterday that the outside that there was only one coat of paint. I know that they will come and fix that professionally. I like the design and decorating of the home, and overall Avonlea representatives have been responsive with most repairs. The representatives were friendly, attentive to detail, and very timely in getting the trades in to repair the small items. I have been frustrated with the ongoing shower tile issue, I have been clear that, since I purchased a new home, the tiling should not be damaged and be repaired or replaced. This issue has gone beyond the representatives and continues to be an issue. We had a great experience from start to finish on our new home, we wouldn't hesitate to recommend Avonlea to anyone. When sub contractors were called for work I thought all the people were going to be with Avonlea. The subcontractors weren't great though. Avonlea was good. I had a good experience with Avolnea Homes, but homes need Awith high quality materials. For example, kitchen area need stone layers and beautiful lights to make the house beautiful and enjoyable. The unit seems to be very well built. However, the finishing (especially the painting) seemed to be rushed and lots of places missed. The appliances are less than average quality. The contact method for issues in the beginning was confusing dealing with 3 - 4 different people. in the end, it was fine. The only thing we would of liked to see was better communication between sales and design and construction. Many times we were told different things by different people because they didn’t communicate properly with each other. Excellent quality of home extremely happy with the finished product though i think you need to talk to our sales person he was a handful. Cabinets are done which took the longest. All good. Good luck on the awards! We are a bit frustrated that the home was not complete on the day of possession. Waited a long time for things to get done, but, overall good quality home. Good experience . I look forward to dealing with them in the future if need be. Ron Tyslau has been great to work with on my concerns! He responds to inquiries very quickly and keeps me in the loop! I waited for months to hear something (anything!) from the property management company about an issue in my lawn and I ended up asking Ron for support. He gets things done and I very much appreciate it!! So glad that we have a friend who recommended Avonlea Homes to us. The back yard they need a little more dirt on the back. It needs to be filled a bit more. I talked to Ron. Maybe it is what it is but it looks like it needs topped up. Everything is going a bit slow. There are some things that need fixed. It's my fault too. The timing is the problem. The service guy that came last was excellent. He took down all the notes. The follow up on the stove and lawn was not followed up on. Jerry was above average. Excellent when I called him,. He always looked after us. We are very happy with our home. I have bought 4 homes from the builder now. Each time has been a pleasant experience. I would definitely recommend the for someone else to use as a builder. The other issue we had was re-caulking to be done. The first attempt was really, really bad but they came back to fix it. At that price level you are probably getting as good as you would get. Their homes are built for about 250 a square foot. They are not a 400 a square foot home. For what they charge you are probably getting the best for that price level. I was very happy with the overall experience. The home is well built, and any concerns I had were delt with immediately. Ron has been amazing to work with!!! He’s very responsive and follows through. Plus, he’s just a really wonderful guy! Will, too, has been great! He did some work fior us and, even though the job was messy, you couldn’t tell he had been there because of the way he cleaned up after! We are very pleased with Avonlea’s people, product and service and highly recommend them to others! We are happy with our new house. Thanks to Avonlea! We appreciate the flexibility Avonlea provided us during our buying process and the quick possession. We’ve been happy with the effort that’s been made to fix the sewage back-up damage and the dishwasher issues. Overall we’ve been satisfied with our experience given that we’ve had some abnormal challenges. Avonlea is making an effort to address the deficiencies found in my home and for the most part tries to keep you on board with their efforts. Jon has been excellent with any issues and has been a big help with scheduling appointments because I live in Calgary I usually have to drive out. Great experience! Very satisfied with the help we received through the proccess. Brad Tradewell went far beyond the expectations we had and was there for us every step of the way! To date we are very pleased with our Avonlea Home experience. Ron Tyslau’s level of professionalism is absolutely exceptional. He responds quick to any concerns and efficiently deals with all matters. His degree of thoroughness and attention to detail through the entire purchase, orientation, and repair process is second to none. When our second level tub drain pipe leaked, he responded immediately sending someone in person and has done an exemplary job organizing crews to complete all necessary repairs to bring our property back to it’s original state upon purchase. I have to applaud all that have worked on the repairs so far. They have diligently, effectively, and efficiently completed their work to a high quality of standard. The cleaning staff are also a dream. It is rare to find those that clean so thoroughly as they do. We would like to thank the entire Avonlea team and all involved for making our initial month+ go as smoothly as it could under the circumstances. Once again a very special thank you to Ron for all his help and guidance through this initial process. Avonlea has aquired an absolute gem in you! Thanks again everyone! Ron is very helpful with our orientation and it really showed how much knowledge he has. He also put extra effort on going around the house before we arrive at the place to look for any defeciency ahead of time to make the process easier. Even after the orientation, we do appreciate how easy it is to contact him with any other concerns and responds quickly. I am a first time home buyer and the experience was really good. The kept up and they checked in to make sure everything was going well so definitely a good experience. So far the experience has been good. Ron is very helpful. Jon Williamson has been a delight to work with. He is prompt, professional and a great representatvie of Avonlea. This is our third Avonlea new home and by far the best experience we’ve had. Ron is extremely helpful and knowledgeable and we felt like he truly listened and went above and beyond for us. Janae was so nice to deal with- she always answered our questions and took the time to make us feel welcomed and taken care of. We looked around at a few builders each time we purchased and all three times we’ve been very happy with avonlea. Our family keeps growing that’s why we keep moving otherwise we’ve loved all the house we’ve been in! Overall it has been a very pleasant experience. I am very happy with my purchase experience with he builder. everything has been really good. I quite enjoyed it. I am quite happy with the builder. I love my Avonlea Home. This was our second purchase through Avonlea and just like the first it was a pleasant experience working with them to complete the sale. All our expectations were met in a timely efficient manner. Avonlea's team has continued to make sure our concerns are addressed in a timely manner, and to our satisfaction. What more can you ask for. All in all Avonlea's customer service was great to us. The service calls so far have been promptly answered. Concerning the home structure, we love it very much and happy to call this house our home. The half bath and laundry area on the main floor would have been a bit more convenient for us if it were the other way around. The set up for the TV wiring should have maybe been set up a little more conveniently. Avonlea, you're great and we love our home! Everyone that we dealt with in all processes of the build were really great and easy to deal with. They answered all of our questions/concerns and allowed us to be a part of every step, and worked around things due to Jordan's work schedule. All of our experiences have been really positive. Service was amazing from everyone. The home is beautiful and well built. Scheduling of home inspections for repairs has been a challenging process as we are not often available during the week for appts. It would be helpful to have the option of weekend repair service to accommodate homeowners that require such services. - Avonlea and the quality of product exceeded my expectation. Great job guys! I love my Skye unit and would recommend using Avonlea Homes to everyone! Overall they have been good. We would definitely buy from them again. They are a great company. I would like to highlight John Williamson. He got the jobs done efficiently and done well. The only thing I had issue with was a "misunderstanding" about lot leveling. Other than that everything has been great. Avonlea has been a treat to work with. Their personnel are knowledgeable and helpful. I would like to say that if the need arises again for a new home, I would not hesitate looking or buying an Avonlea home. Customer Service has been prompt in visiting our home if there has been a concern. A job well done! great service after moving in and the service provider that come in to fix the door bell and other electrical defects offered great service and flexibility. Avonlea Client care, repair staff and associated trades were all responsive to our issues and usually fixed the problems in a timely manner. Avonlea carea about their clients which has always been evident and in my experience take this quite seriously. They listen, acknowledge and act upon issues. I believe i own a quality product and truly enjoy coming home. Although the warranty period is over i would feel comfortable contacting Avonlea for any general questions about my home in the future. I am hopeful that my fence inquiry will see closure sooner rather than later. Not a reflection on Avonlea but rather the supplier Dinos. I am corresponding with Rhonda Schauerte on this matter separately. If I was to do this again, I would upgrade the quality of most appliances and some of the fixtures. Also the vinyl siding would be changed. Avonlea staff have been awesome as have most of the trades people. To date we have no suggestions for improvement. The process we experienced from the sales and design stages has far exceed our previous building experience with another builder. They have a well laid out process that makes decisions easy for us. Avonlea Homes are GREAT people to deal with and would strongly recommend them as an outstanding builder! Right from the start of buying our home til the end of the 12 month warranty period was a very good and pleasant experience. Would highly recommend to friends and family. Everything has been addressed in a relatively quick manner. Except the garage. It seems to be put to the side and forgotten about. As a first time home owner it's been a great experience to have Avonlea as my Home builder. All the concerns have been addressed in a timely manner and the staffs are very professional. I appreciate the quality of their service and good communication. Cheryl and Jon both who follow up on customer care concerns were absolutely excellent. They absolutely exemplified Avonlea's vision of a quality builder, by the customer service that they both provided. We do appreciate the kindness of all you. We love our new home! We really do love our home, Avonlea is a great builder and we will live in an Avonlea home from now on! Thanks a bunch for my new.. ish home! Still love it! I thought overall it was a great experience. We feel very confident that Avonlea builders will take care of us with any issues. Your care and work is excellent and consistent and prompt. We are very pleased with our home and quality of care. Thank you to everyone at Avonlea. The new home, and the warranty is very good. This makes renting a bad choice and buy a home a good choice! Thank you Avonlea! We are very impressed with Avonlea. Their patience with our purchasing process (mortgage broker nightmare), communication skills, and overall experience; has been fantastic. Misti was a down-to-earth understanding human who made us feel at ease - her boss was flexible with extending our condition dates - and the home itself has been complimented by everyone who's visited. The customer service we've received from Cheryl in the office and John, who walked us through the home - has left us nothing short of recommending Avonlea to anyone who asks. The attention to detail has been appreciated, making us proud of the home we've chosen to purchase. Thanks again! We have felt as though we have received great service. If we had any concerns (which were all typically fairly small items), Cheryl was quick to respond and set up an appointment time, or answer our questions. Avonlea has been a great builder to work with. We had a short time frame to buy and move, and they were incredibly helpful and efficient. Our experience with Avonlea has been nothing but pleasant, and the continued customer service and assistance has been fantastic. Customer care actually exceeded my expectations. There were some finishing issues that we thought we would have to live with, but he encouraged me to bring up anything at all and when I mentioned them he took my concerns very seriously and did his best to rectify the problem, and did not make me feel like I was being unreasonable in any way. "The management and staff at Avonlea and Skye did an excellent job throughout the process! They regularly communicated through phone calls or texts with updates on development and were courteous and sincere with any questions or concerns I had. I would definitely build/buy another house with Avonlea! From start to finish the purchase process and the buying experience were seamless and agreeable. It was a smooth transaction with no roadblocks encountered.